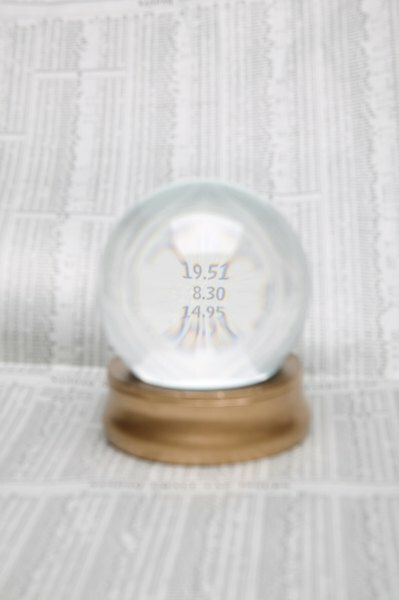 Many analysts watch stock market trends in January to predict the year ahead. When it comes to stock market speculation and trends, no period is as widely analyzed as the first month of the year. January has both beginning-of-the-year stock bargains and a bevy of analysts studying the month for clues to the future. Some bet their money on January's trends. Others consider them superstitions. Either way, the month is seldom boring on Wall Street. Think of the "January effect" as an after-the-holidays stock market sale. The term refers to the rush to buy stocks in January -- often for a discount. Investors sell for tax purposes or just to make some quick holiday cash. The December sell-off creates stock market discounts in January. The trend is most pronounced in small-cap stocks. A small-cap company's year-end report might make it seem like a good investment, fueling its January stock sales. A small-cap company's total amount of issued shares will be between $250 million and $1 billion. By contrast, a large-cap company will have more than $10 billion worth of stocks issued to stockholders. "Cap" refers to market capitalization. Some believe the January effect is waning as more investors hop on the bandwagon and leave fewer bargains. Also, many stocks are now in tax-deferred portfolios, so selling for tax purposes is now less important. Albert Lu, managing director of WB Wealth Management in Houston, said historical data does not establish a reliable price trend. Any reliable trend that did emerge would be quickly erased by speculators looking to capitalize on the bargains. The idea of the January barometer is this: If the Standard & Poor's 500 market index ends January higher than it started, the rest of the year will follow suit. This prediction has been correct 34 out of 38 times since January 1950. Christine Hauser cited this fact in a January 2012 article in "The New York Times." A good start in January may mean investors are ready to get into the market, which will cause it to climb. Not everyone buys into this idea, including Lu. He said the historical observations are interesting, but unreliable. The "first five days" trend is like the January barometer but on a smaller scale. If the S&P 500 finishes higher in the first five days of the year, there is an 86 percent chance the stock market will end the year higher, according to a "Wall Street Window" article written by Matt Rego in January 2012. Some analysts, including Mark Hulbert of Hulbert Financial Digest, claim investors would do better avoiding these trends altogether. In a January 2010 Market Watch article, Hulbert points out that investors scared off by a down January in 1982 would have missed the beginning of the greatest bull market in history: The markets gained 25 percent in the last 11 months of 1982.